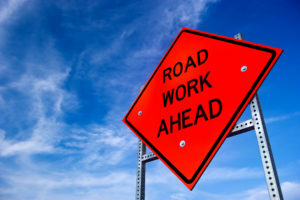 (Lindenwold, NJ) – Freeholder Susan Shin Angulo has been notified by the New Jersey Department of Transportation (NJDOT) that a pavement preservation project will require temporary lane closures and ramp detours on I-295 in Camden County and Burlington County. Temporary lane closures and ramp detours will begin this week to mill and pave a four-mile stretch of road between Fellowship Road/CR 673 and Marne Highway/CR 537. After the completion of that stage, the contractor will begin application of the High Performance Thin Overlay (HPTO) on the 13-mile stretch of I-295 between Marne Highway/CR 537 in Mount Laurel and Black Horse Pike/Route 168 in Haddon Heights. The project is expected to be completed in the fall. Motorists should exercise caution while driving near the work zone and expect temporary lane closures between 8 p.m. and 6 a.m. nightly and ramp detours for the application of slurry seal between 10 p.m. and 5:30 a.m. Over the course of the project, the interchanges between I-295 in both directions and the following roads will have overnight detours. Improvements include the application of a one-inch High Performance Thin Overlay on the travel lanes and shoulders of I-295, as well as Slurry Seal along 47 ramps within the project limits. These state of the art pavement preservation techniques make use of recycled asphalt materials that are added on top of existing pavement that may be cracked or fatigued in order to provide a smoother, safer driving experience. The application will improve ride quality, skid resistance, and reduce noise, as well extend the lifetime of the pavement. NJDOT has performed similar improvements to stretches of I-280 and Route 24 in Short Hills to help improve roadway performance.